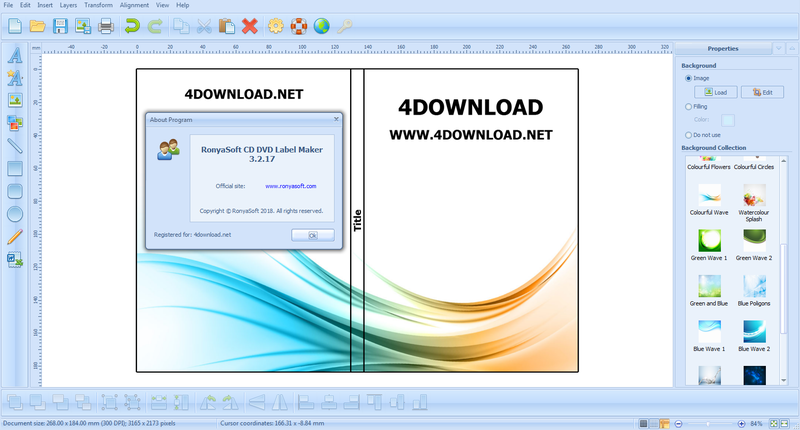 RonyaSoft CD DVD Label Maker is a software to design beautiful labels and covers for your video, mp3 and data collections, photo slideshows and backups. Its easy-to-use wizard-like interface allows you to create labels in just a few clicks. The software contains predesigned templates for CD and DVD labels, CD case inserts, DVD and Blu-Ray covers, paper CD cases and custom size covers. Don’t wait, make fine labels and covers yourself!